For our part, myself, Max and Julian (my helping hands) went on a mini adventure with 17 crazy mountain bikers. We headed out of Elterwater and over Loughrigg Terrace then down to Ambleside for early refreshments. 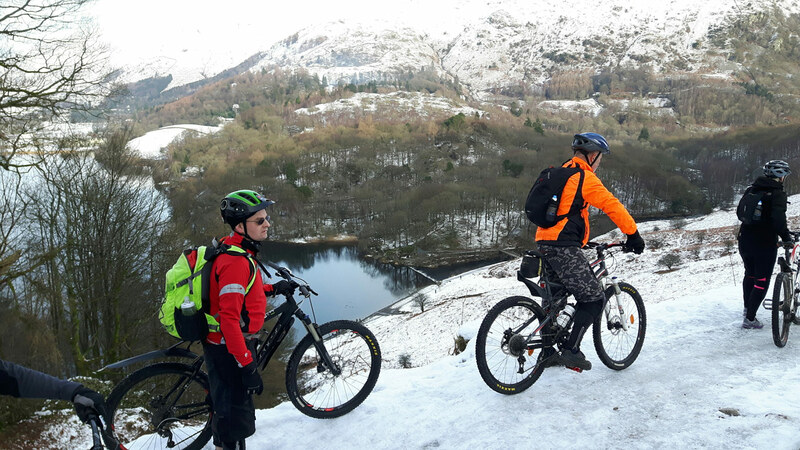 The planned route for the day was around 25 miles but the snowy and icy trail conditions were hard and slow going and had us off the bikes and sliding all over the place in some spots. 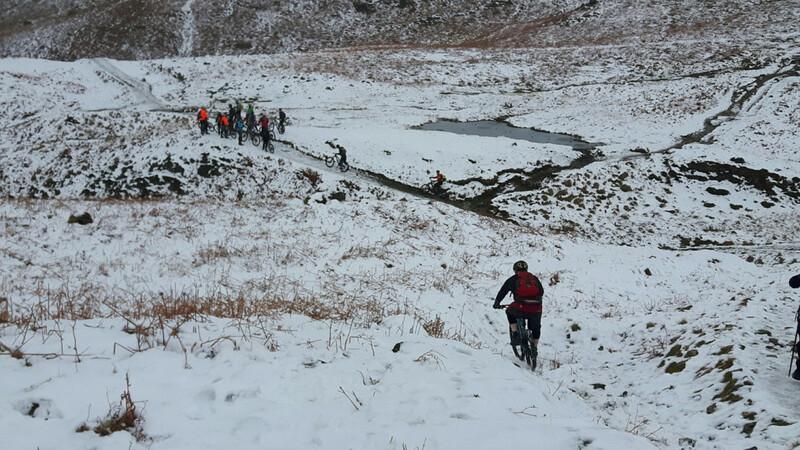 It was great to see everyone having fun and doing a great job of riding (and pushing) their bikes in conditions they wouldn’t normally be out in, unless they were building snowmen. After lunch (coffee and cake at the Apple Pie Bakery) we headed back to Elterwater round the back side of Loughrigg. This saw our group climbing up a very steep tarmac with challenging icy patches, then we were treated to a full on blizzard-like snow flurry as we started our descent to Skelwith Bridge. 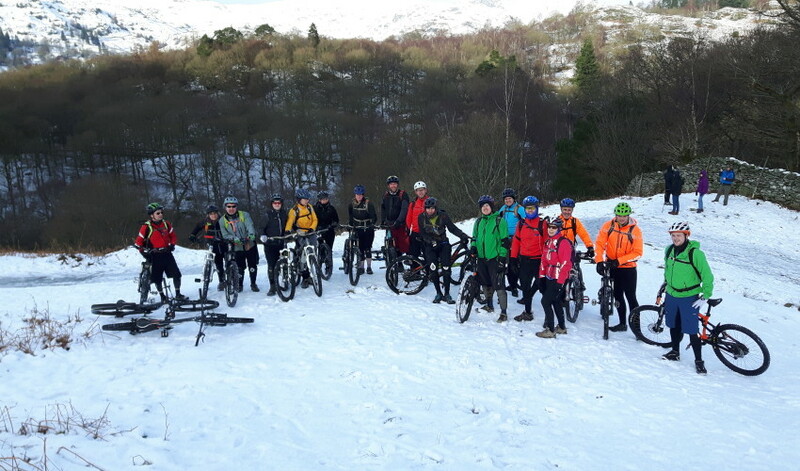 Some of our group had traveled quite a distance to do the ride so we decided it best to wrap things up so everyone could head home and headed back to the car park in Elterwater, dashing through the snow as it were. Thanks to everyone who took part and donated some money, or bought raffle tickets, our event raised around £675 on the day which was a great accomplishment and was very well received. 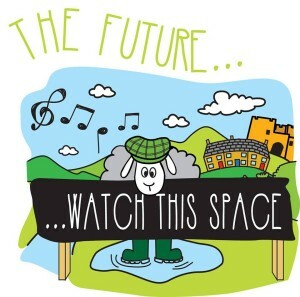 Heartfelt thanks to all involved! 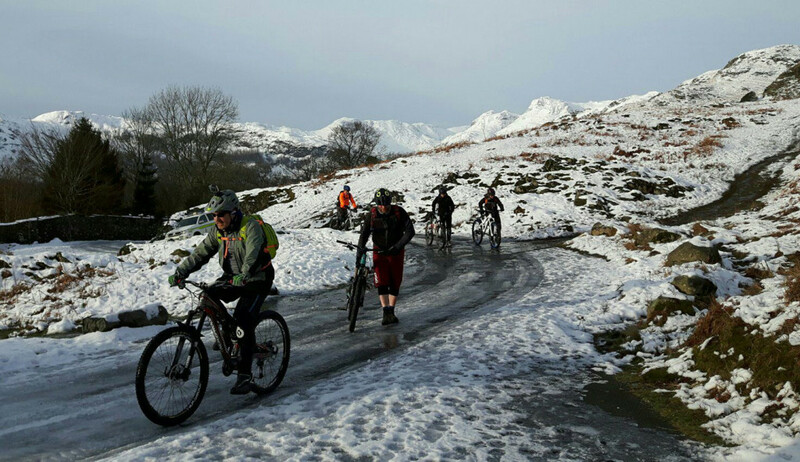 We’ll be taking part and running a similar guided ride for the next Grand Day Out in Cumbria which should be making an appearance later in the year. Keep a watchful eye on our Facebook and Twitter feeds for future events, and don’t forget to like ‘A Grand Day Out‘ as well, if you’d like to get involved. As always, we’ll be running our regular guided rides, skills coaching sessions and private / one to one sessions throughout the year. Please get in touch if you’d like some more info.